A coroner speaking at the inquest of a deceased police motorcyclist says that Honda Pan Europeans pose a “serious and continual” threat to lives. Coroner Dr James Adeley said he intends to write to every chief constable in England and Wales warning them of the “catastrophic result” which can occur with the Honda motorbike. The inquest in Lancaster heard Pc Shreeve lost control of his vehicle after it began to shake violently while travelling at high speed. After Shreeve’s death the Pan European was tested with comprehensive safety checks and in one such test an examiner broke his leg and fractured both wrists after being thrown from the bike that got into an identical high speed weave. 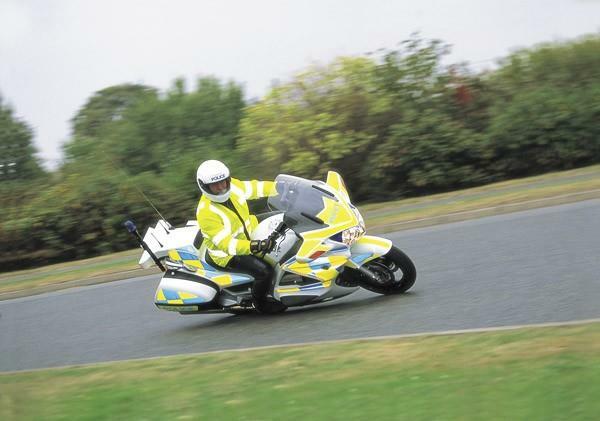 There are still 450 Honda ST1300 Pan Europeans in operation with police forces across the country. The inquest was told the problems affected only police motorcycles which have been specially fitted with heavy emergency and communications equipment, which altered the centre of gravity. The ST1300 was released in the UK in March 2002 and the police model was delivered in November 2002. By January 2003 officers had reported experiencing the problem.A Honda spokeswoman said: "At this time our thoughts are with Mrs Shreeve and the family of Pc David Shreeve. Honda (UK) has had a strong working relationship with the majority of the police forces across the UK for more than 15 years. "We have co-operated fully with the investigation into the accident. We have also worked closely with Merseyside Police and other police forces. "For Honda the safety of our riders is paramount.We will continue to liaise with the police in light of the coroner's verdict." A Merseyside Police spokesperson said: "We welcome the verdict of the coroner, which hopefully will ensure the safety of police motorcyclists across the country. "Merseyside Police withdrew these bikes immediately after the accident. Given that the coroner has described the vehicles as posing a serious and continued threat to the health and life of officers using the motorcycles in excess of 80mph, we would hope other chief constables would follow the lead set by Merseyside in November 2005."